You'll love your new attendant console. 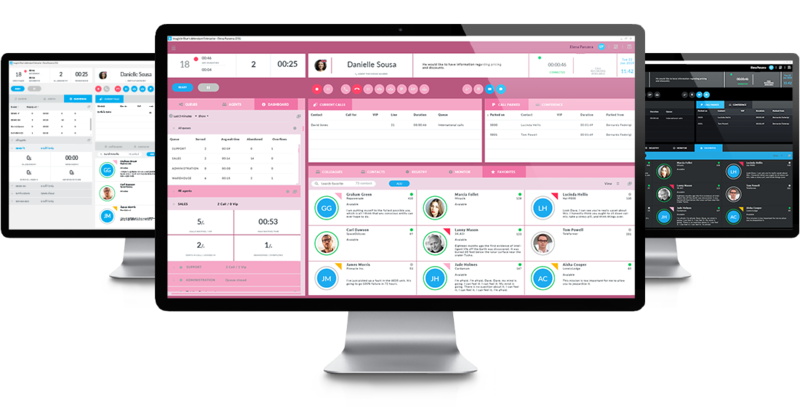 Imagicle Attendant Console is the operator console software solution that integrates perfectly with Imagicle Queue Manager Enterprise to simplify and improve incoming call management. When creating it, we examined every single telephone operator need: resulting in never-before-experienced interaction between telephone and computer. A thousand little details combine to create a simple and attractive interface that makes everything available at a click. Available for both Windows and Mac users. Receiving calls from your Clients. Attractive, easy-to-use and offering plenty of features, it simplifies your company's operators' work. Available in: English, French, Spanish, German, Arabic, Portuguese, Dutch and Italian. 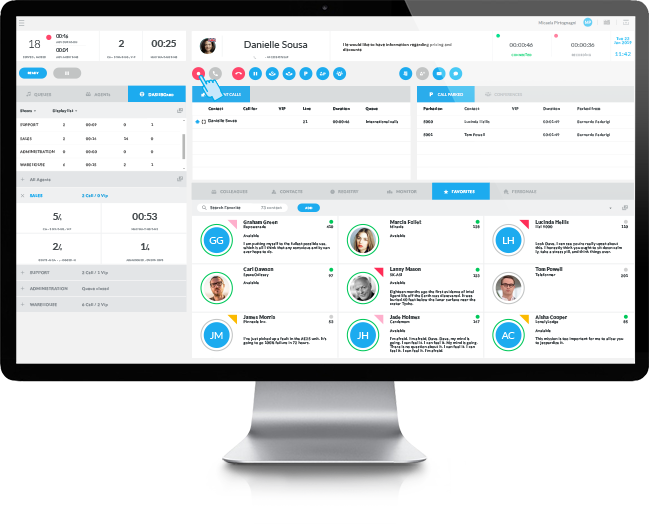 With integration with CRM/ERP cards, personal KPI, e-mail/text notification and much more, it's perfect for every operator. Ideal with other Imagicle apps as Queue Manager Enterprise, to see queues and caller info, Directories to easily find all needed contacts. Certified for visually impaired and blind operators. Compatible with ZoomText Magnifier, Display Braille and Vocalizer. Displays the status of connected presence servers such as Cisco Unified Presence Server, Skype for Business and more. Blue's Attendant is a client/server product. Client to be installed on the Operator's/Agent's Windows PC, Mac or thin client. Server is included in the Imagicle ApplicationSuite with all the other apps of the suite, available as a setup package for installation on any virtual machine/physical server or through a ready-to-deploy Virtual Appliance. Flexible and powerful web-based queue configuration with audio messages including queue position, distribution algorithm, weekly time table based on local timezone and day/night/holiday schedules. Max 100,000 contacts per directory and 800,000 global contacts. From CUCM, LDAP/AD or any other sources, with connectors included (Salesforce.com, MS Dynamics, etc). Add/edit/delete contacts directly from Blue's Attendant Console. Optional Speedy Enterprise for advanced directory management, including XML services. Yes, queues and agents-based pre-configured historical reports from web portal; real-time statistics through Blue's Attendant dashboard. Yes, both PC and Mac clients. Yes, via e-mail and SMS messages, supporting personalized templates, automatically populated with current call details. Show caller's country flag upon incoming call, on console display and call registry. Operators can select a pause reason among multiple options configured by the administrator, with an automatic pause option upon workstation locking status. Yes, allows to directly transfer an active call to user's voicemail. Compatible with both Cisco Unity and Imagicle SSAM. Full: calls are forwarded to agents' phones and they can be answered, even if Blue's Attendant is not operational. Yes, manual pause with choice of multiple reasons; automatic Wrap-Up time at the end of each call. Yes. Blackwire, Voyager, SAVI wireless models. Allows call answering/ending directly from the headset and automatically agent status change based on specific events. 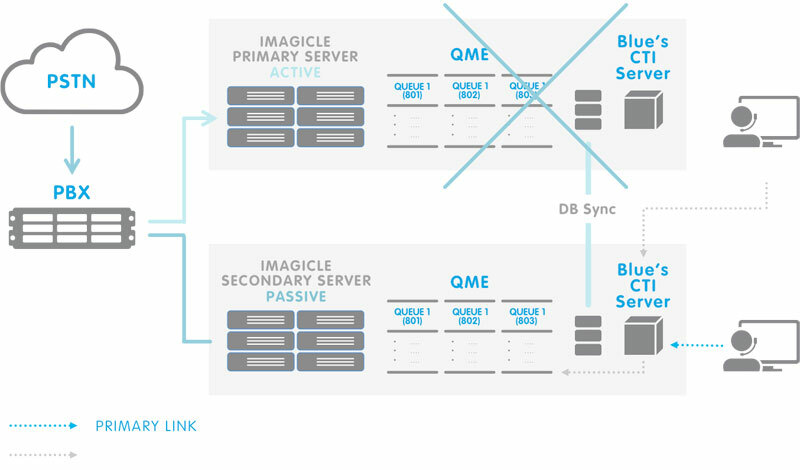 SIP-based Advanced Queuing, supporting G.711 and G.729. Operators' phone control based on CTI/TAPI. 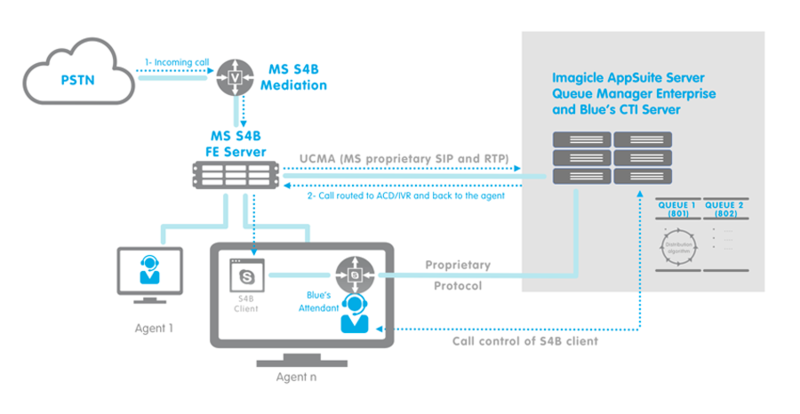 Microsoft UCMA based Advanced Queuing and operators’ phones control. Yes, with full directories, agents, queues, messages, reports separation by tenant. The solution is officially certified with release 12.0 of Cisco UCM, BE6K/7K. Certified by the F. Cavazza Institute for the Blind, for visually impaired and blind operators. Imagicle is one of the few companies in the world to have received Cisco Preferred Solutions Developer certification. Did you forget to pause? A color for every day, change the theme of your console to match your everyday mood at best. Your Attendant automatically will take care of it, based of the PC's inactivity or blocking status. Everything under control for adv. supervisors. 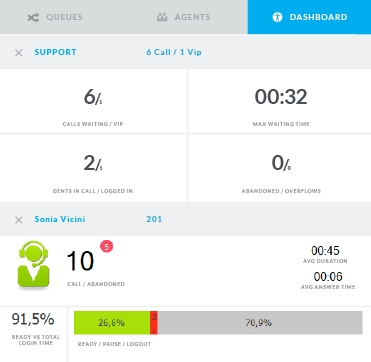 With the new active calls panel, they can monitor and assist agents easily. Your job becomes easier, and your clients can tell. It's important to receive clients with a smile on the phone. However, it's hard to do it for hours on end, if you don't have the right tools to simplify repetitive operations so that operators can answer quickly and professionally. All that Imagicle's Attendant Console is missing is your smile. It's important to receive clients with a smile on the phone. However, it's hard to do it for hours on end, if you don't have the right tools to simplify repetitive operations so that operators can answer quickly and professionally. All that Imagicle's Attendant Console is missing is your smile. All telephone functions are just a click away, as are colleagues, company contacts and favorites, list of handled calls and much, much more. 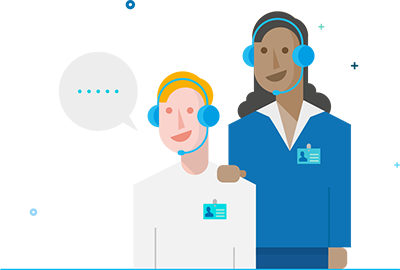 The best solution to make your company's operators quick, efficient and happy. Available for both Windows and Mac users. as you've never done before. A call is received. You see the contact's name, number and photo. To answer, just click or press a combination of keys. Transferring a call to a colleague just takes a second: "Drag and Drop" the call to the desired contact and you're done. Just click to put a call on hold. You can also queue a call on an occupied extension (camp on) and automatically park it when the line is freed. In a glance you see everything you need to know about your colleagues: if they're available, doing something else or busy with another call. Click. Notifying colleagues of calls. It's easy to notify a colleague of a call. 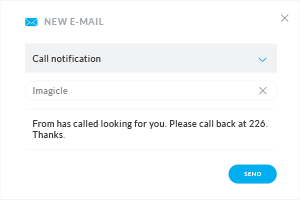 Choose the ready-to-send template with the name and number of the person calling, and just click. 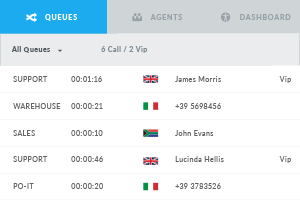 At a glance, you see how many calls are queued, in which queues, how long they've been waiting and who has priority. Trigger Call Recording directly from your Blue's Attendant. Fully integrated with your CRM/ERP. Imagicle Attendant and ZoomText Magnifier. Imagicle Attendant is fully compatible with ZoomText Magnifier, software that makes computer use easier for the visually impaired. It makes it easier to read the screen, enlarging it, and adjusting colors to avoid tiring the eyes. Imagicle Attendant was designed to be accessible for visually impaired and blind users. It is fully compatible with tools for interaction with computers, in particular with ZoomText Magnifier, Display Braille and voice synthesis software (JAWS and NVDA). 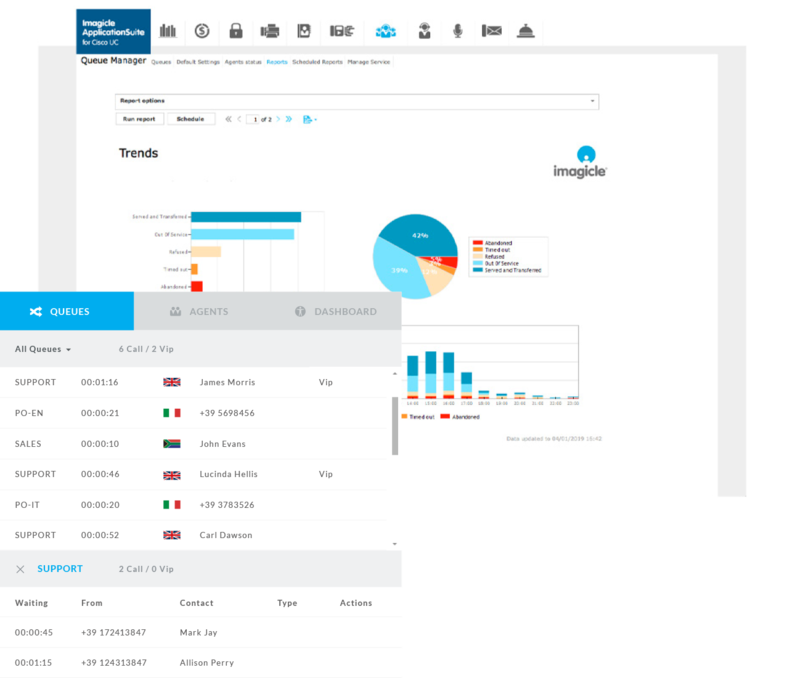 Imagicle Attendant was designed to work with Imagicle's Advanced Queueing solution to provide all the functions you need: information and distribution of queued calls, operator login/logout management, performance reports, real-time dashboard and much, much more. In a glance, the dashboard gives supervisors a complete and up-to-date snapshot of queuing and operators so they can intervene if necessary. 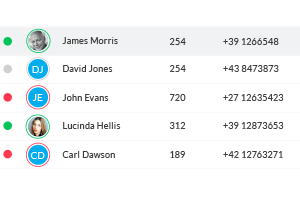 Supervisors know exactly which operators are available for each queue, how many are on the phone, average and maximum answer times, how many calls have been missed, how many are underway and more. Listen to operators and guide them. 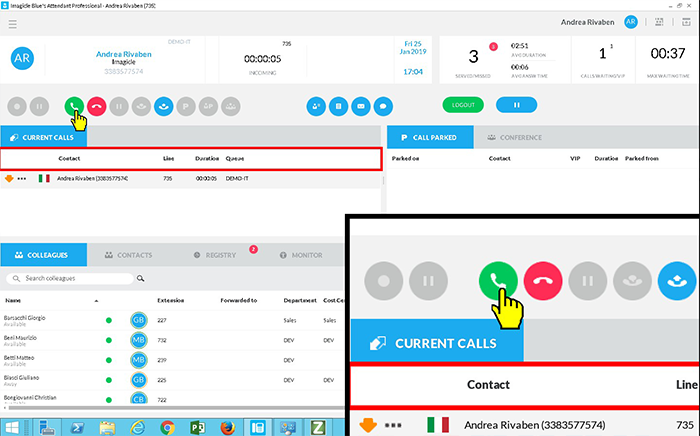 Tab dedicated to colleagues with their telephone and presence status, for Cisco Unified Presence Server, Skype for Business, Avaya Presence Services, Asterisk and other server presence. All contact cards saved in Exchange, Outlook, SalesForce or any other Database can be integrated and consulted in a flash. 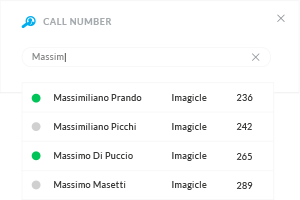 If you want profile access "caller ID”, VIP numbers and Smart Numbers, use them with the Imagicle solution that centralizes and synchronizes all company directories. You just need a click to add new contact to your Console. During a call, from popup notification... Choose when and how. You can modify (or delete) your contacts whenever you want to keep all your directories up-to-date and organized. Decide how to save your contacts, inside your personal directories or sharing with your department or the entire company. Imagicle and Plantronics. The perfect pair for every operator. 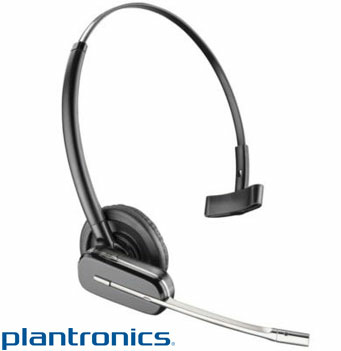 Operators' work has never been simpler with integration of Blue's Attendant with Plantronics headsets to automatically set the desired status based on operator' proximity to their desk or on whether the headsets are worn or connected to the docking station. Imagicle Attendant Console is a client/server application. On the server side, the component responsible for the CTI dialogue with the PBX and the dialogue with other components (directories, presence, queuing system) is called Blue's CTI Server. The Imagicle Attendant Console client component must be installed on each computer. Automatic server configuration provisioning, user mobility via profile portability and automatic update. The TAPI driver needs to be installed only on the server. 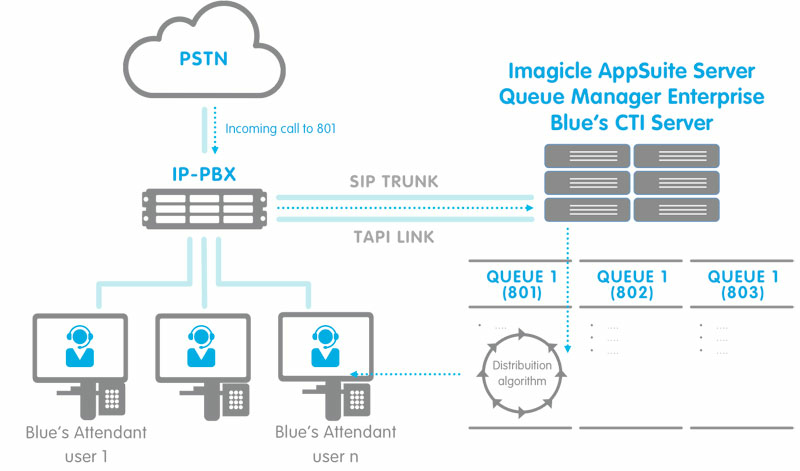 Imagicle Attendant Console support Lync 2010/2013 and Skype for Business, additional license are not required to control the operator's telephone, to monitor the colleague status (BLF) and rich presence. 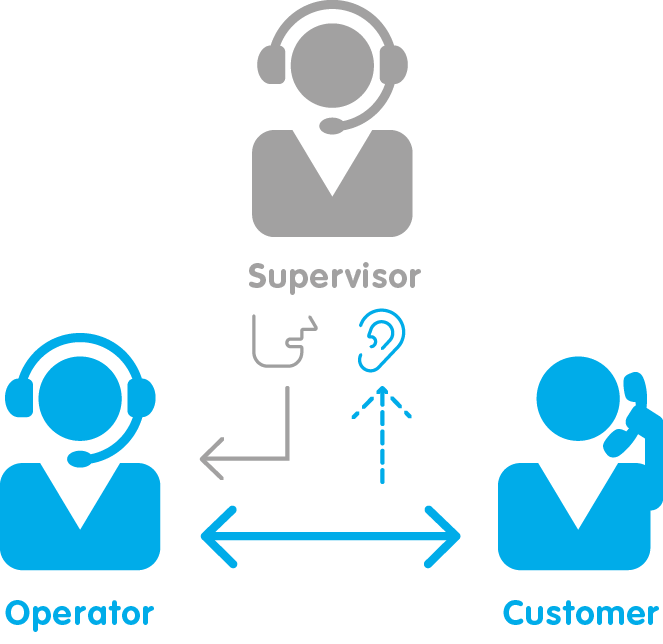 Furthermore, Queue Manager Enterprise and Auto-Attendant Module are Skype for Business Trusted UCMA Application with native integration with MS S4B Front End Server without the need of media gateway. If the computer on which Imagicle Attendant Console is installed should crash for any reason, calls can be managed directly from the IP telephone, without missing a call, thereby guaranteeing a robust architecture. With a second server, continuous operation of Imagicle Attendant Console can be guaranteed. 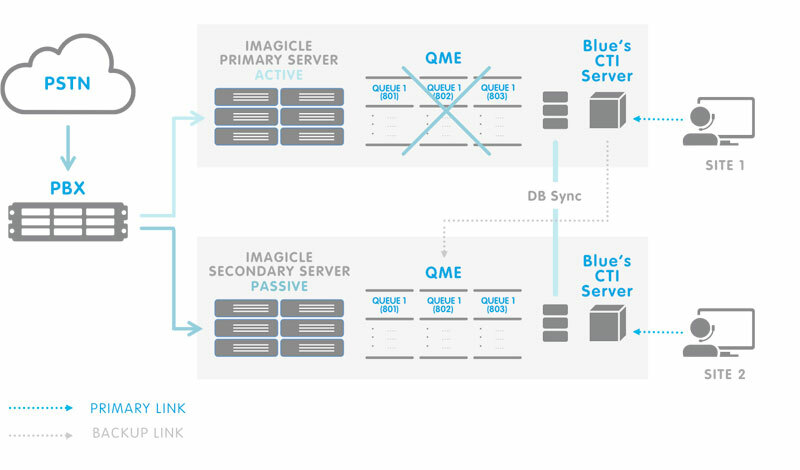 If the first server, CTI Server or Queue Manager Enterprise on the primary server are not available, the client automatically connects to the secondary one, so the Imagicle Attendant Console can always be used, avoiding annoying lost services for customers. 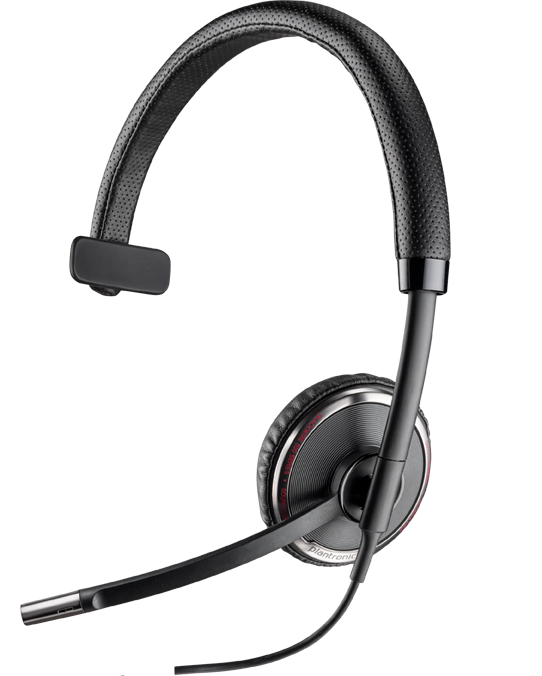 Imagicle Attendant integrates with several headphone models, supporting answer/hang-up features directly from Blue’s Attendant, as well as setting a ready, logout, pause statuses according to specific events: headphones is wear/not wear, connected to/disconnected from the base and agent proximity to the desk. Headphones listed in the table below are verified to operate directly with the Imagicle product. Other headphones are also expected to work with Blue’s Attendant but have never been officially tested by Imagicle: click this link to download a detailed list and supported functions. In this case, a preliminary test is required in order to verify the actual interoperability of the headphones.